... ....badly! 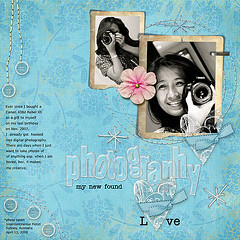 The last full digital scrapbooking layout that I made was in July 2008 but I was able to make a digi layout for my niece's 18th b-day tarpaulin. My co-bebots are talking about scrapping over at Twitter and just today I they insipired me because of the hard bound photobook that they ordered over at Artscow. 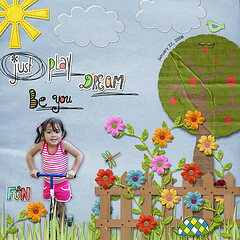 Digital Scrapbooking is so much fun, if you haven't tried it yet you've got to. You just need to be patient in order to finish a layout that usually takes hours. If you are not patient, forget it haha.